The mission of the Graphic Design Major is to enable learners to gain the design thinking, knowledge, and skills required of practicing designers in areas like communication design, user experience design, and branding. Learners grow these competencies through exercises, projects, and learning experiences designed to develop practical, analytical, creative, emotional, and social intelligences. Graduates are prepared to enter a wide range of design practices as adaptable problem solvers that consider context and stakeholder need as drivers for design. Apply design processes and produce outcomes within practical constraints. Demonstrate relevant and accurate decision making for needs being addressed. Generate inventive and engaging outcomes. Accurately interpret and express emotions that are appropriate for the context. Demonstrate an ability to effectively engage and collaborate with others. provide the basis for their continued creative and personal growth. With a problem-solving format, students develop visual communication skills, explore the integration of type and images through a variety of traditional and computer media, and imaginatively deliver messages responsive to the needs of the sender and the receiving audience. Students learn to be aware of the cultural context in which they work, keeping in mind the responsibilities inherent to a discipline that engages our society. During the upper-level years, students participate in Highwire Brand Studio, a nationally-recognized interdisciplinary program where students work with for-profit and non-profit clients. The required design internship experience is another opportunity for applied work for developing career-minded knowledge, thinking, and skills in design. Experience real-world projects through interdisciplinary studios, special projects, and study abroad programs. Enjoy a small supportive environment (About 20 students per class). Be inspired by visiting artist lectures and workshops. Thrive in a liberal arts environment, leaving school a well-rounded, highly marketable individual. Take advantage of innovative fabrication equipment —laser cutter, 3D printer, CNC lab, 3D visualization lab. Co-major, minor or double-major in our unique Interactive Media Studies program or choose between Miami’s many other minor and double-major options. Learn letterpress printing and bookbinding, mixing hand media with new digital approaches. Gain valuable professional experience through paid internships within leading firms. Visit our Design Miami Ohio blog to learn more about our projects and our people. In addition to the entrance portfolio review required by the Department of Art, students desiring to pursue the Communication Design major must undergo an additional portfolio review. This review occurs in the spring semester of the first year before registration for the fall semester. This portfolio and interview process determines advancement into the degree program in the second year. In order to submit a portfolio for admission into the Communication Design major, students must be enrolled in ART 151 Pre-Communication Design, and must have completed or be enrolled in ART 102 Color Theory and Practice, ART 105 Technical Drawing, ART 111 Design and Composition, and ART 121 Observational Drawing. For the portfolio-review process, each applicant submits a portfolio of works completed in the above Art Department Foundations courses. Typically, our program receives 35-45 portfolio submissions each March. Applicants whose portfolios demonstrate an aptitude for design participate in an interview with Communication Design faculty to discuss their work and career goals in design. Communication Design faculty, who all have professional experience as working designers, evaluate portfolio strength and interview responses for each applicant who advances to the round of interviews. No more than 22 students can be admitted into the Communication Design program each year to ensure class sizes remain conducive to intense, studio-based learning in design. 16 credit hours in approved electives from these areas: Art and Architectural History, Business, Communication, Craft, Cultural Studies, Environmental Design, Experience Design, Human-Centered Design, Interactive Design, Language, Perception & Cognition, and Studio Art (see list below). 27 credit hours in Miami Plan Foundations courses. The program requirements listed below incorporate all requirements in Art and the Miami Plan Foundation (MPF). Students must successfully complete 124 semester hours minimum to earn the B.F.A. in Communication Design. For catalog years earlier than 2018-2019, please consult with an academic advisor. Portfolios are submitted using the Portfolio Submission page at the designmiamioh.org blog site. This review is in addition to the Art Department portfolio review, typically completed when applying to Miami University or transferring into Art. Minimum of 16 credit hours. 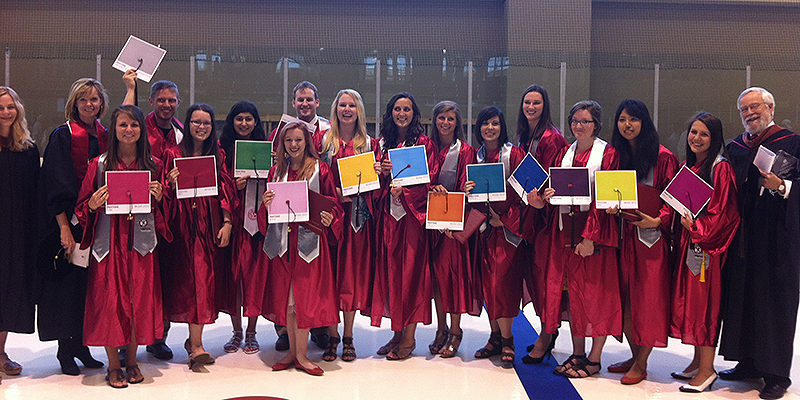 Communication Design Majors must take five to six electives (16 hours) to reach the 124-hour graduation requirement. Most Minors at Miami require 18+ credit hours and would fulfill the Elective requirement for Communication Design. Other courses for elective credit may be added to this list. Discuss alternatives with a Communication Design academic advisor. Groupings below indicate how electives may be grouped to compliment Thematic Sequences or Minors. This approach enables students to customize their course of study any way they like, adding art studio, Interactive Media Studies, and other specialized courses. The Miami University Bulletin series is the official source of information about the programs and courses of study offered at Miami University. Make sure to get student pricing when you sign up. We use Photoshop, Illustrator, and InDesign almost daily. What can I do with a career in Communication Design?